At a commemorative celebration in Beijing on Thursday September 3rd, marking the 70th Anniversary of China’s freedom from the aggressor Japan ending World War II in China, the United States conspicuously avoided siding with its former WW II ally China, which had been one of the pro-democracy Allies during that war, and instead retrospectively switched sides, to the former fascist Axis powers, Japan itself, and also Germany. International diplomacy is heavily focused upon historical symbolism, something which everyone who is involved in international diplomacy understands. International diplomacy is constantly about history, and about the making of history; this is the very nature of that profession; and the historical symbolism in this particular diplomatic event was clear: the U.S. has retrospectively left the anti-fascist Allied side, and switched to the fascist Axis side; the U.S. now identifies with WW II’s Axis nations — the aggressors. The U.S. no longer identifies with the side of the nations that were being aggressed against. The BBC in its report on China’s preparations for the event referred to «the notable absence of Western leaders» from the list of people who had accepted the invitations. The BBC’s news-report went on, in this vein of remarkable if not stunning candor: «The parade thus serves a dual role: a reflection of the past and a signal for the future. China’s official narrative of the horrors of China’s wartime past — historical humiliation at the hands of colonial powers — is directly linked to China’s current concerns over sovereignty and territorial integrity including the East and South China Seas. At a visceral level within Chinese society, it is impossible to detach the past from the present». 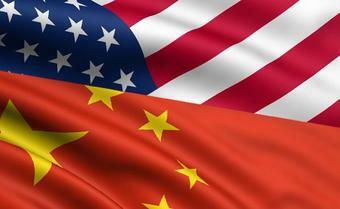 The report even closed by recognizing the resolve of Chinese President Xi Jinping «to protect China’s core interests». That is a sympathetic, not at all a hostile, reference, at the end of such an article. The BBC’s caption to a photo there was similarly honest, and without any added propagandistic coloration of the then-planned event: «The parade commemorates what China calls ‘the Chinese People’s War of Resistance against Japanese Aggression’». That’s what China does call it, and that’s what it actually was; and the BBC was honestly presenting the Chinese perspective on a momentous part of China’shistory. The common anti-Chinese and anti-Russian Western ‘news’-slant wasn’t present in this admirable news-report by the BBC. Chinese President Xi Jinping said Thursday that all countries should draw lessons from the history of World War II and stick to peaceful development. 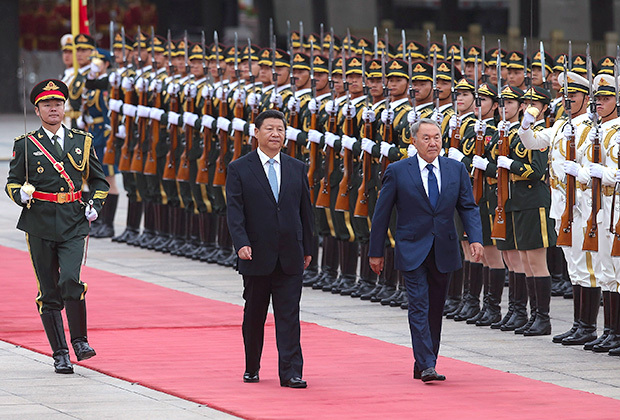 Xi made the remarks while addressing a reception after a grand military parade to commemorate the 70th anniversary of the victory of the Chinese People’s War of Resistance Against Japanese Aggression and the World Anti-Fascist War. «It is our sincere hope that all countries will draw wisdom and strength from history, pursue peaceful development and work together to open up a promising future for world peace», he told more than 800 Chinese and foreign guests. China’s victory of the war was a great triumph won by the Chinese people fighting shoulder to shoulder with their anti-fascist allies and the people throughout the world, he said. «As the main Eastern theater of the anti-fascist war, China’s war of resistance made a critical contribution to its worldwide victory», Xi added. No force is greater than working together with one mind», he said, noting that during the war, people from anti-fascist allies and other forces across the world joined hands in the fight against their common enemy. We the Chinese will never forget the invaluable support given by the peace-loving and just countries, peoples and international organizations to our fight against Japanese aggressors. With a painful memory of the past, Xi said, the Chinese people have persistently committed themselves to a path of peaceful development and a win-win strategy of opening-up. «A stronger and more developed China will mean a stronger force for world peace», the president said. Many leaders refrained from participating in the military parade — so as not to offend the Americans among other allies of Japan. Germany and the United States sent only their Ambassador. The only EU leader there was Czech President Milos Zeman. The much-criticized-in-China, right-wing conservative Japanese Prime Minister Shinzo Abe, had turned down an invitation to the «memorial to the victory in the Chinese people’s war against the Japanese invasion and the struggle against fascism». Among the approximately 30 state guests were Russian President Vladimir Putin, UN Secretary General Ban Ki-moon, and President Park Geun-hye of South Korea, which had also suffered from Japan’s aggression. In the parade also marched around 1,000 soldiers from 17 countries such as Russia, Cuba, Kazakhstan, Mexico, Pakistan and Serbia. In other words, this event, which concerned World War II, had an attendance-list which reflected instead the «Cold War» — the war between capitalism and communism — even though communism (other than in North Korea) is dead and gone except for vestigial and declining remains in China and Cuba. The ideology against which the U.S. waged the Cold War should therefore now be ignored, no longer treated as if the Cold War were still continuing, and were still the central focus of American foreign policy. This Cold War focus by the United States on a WW II event is sick, especially in this era of rising real threat from Islamic jihadists around the world, a real threat that’s both East and West. This Cold War II might produce a World War III, global nuclear war. For what? About what? Not about Islamic terrorism. But this is nonetheless what U.S. leaders are seeking: a restoration of a «Cold War», after all decentsense for such a thing is long past. An accompanying article from Xinhua was headlined, «Few in West remember China’s role in World War II: Oxford expert», and it opened: «Few in the West remember the fact that China was the first country to enter what would become World War II, and it was an ally of the United States and Britain from just after Pearl Harbor in 1941 till Japan’s surrender in 1945, an Oxford expert said». CCTV America headlined, on August 25th, «China releases list of world leaders attending V-Day parade», and noted: «Reporters at the news conference showed interest about the leaders who will not attend the celebration». The BRICS Post reported that, «Apart from Brazilian President Dilma Rousseff who is battling domestic opposition, the leaders of the BRICS states are expected to attend China’s parade next month to bolster ties». The South China Morning Post, in the most thorough of all reports about the attendance-list, bannered, «Only China’s ‘true friends’ attending 70th anniversary parade as key western leaders and Kim Jong-un won’t be there». This report said: «The only head of state or government from the EU is Czech President Milos Zeman. Prime Minister Shinzo Abe of Japan will not be attending, though former Japanese prime minister Tomiichi Murayama will. Pyongyang [North Korea] will send its Politburo member Choe Ryong-hae. The United States, Canada and Germany will send representatives from their diplomatic missions in China [somebody from their embassy], while France and Italy will send foreign ministers». However, former British Prime Minister Tony Blair also attended, as did Russian President Vladimir Putin and South Korea’s President Park Geun-hye. In other words: U.S., Canada, Germany, and North Korea, sent the lowest-level representatives; Czech Republic, South Korea, and Russia sent the highest; and France, Italy, Britain, and Japan, were in the middle. China is one of the BRICS countries, so on this account alone it’s natural that the BRICS sent high-level representatives. North Korea’s having sent only a member of the Politburo indicates Pyongyang’s profound dissatisfaction with the degree of support that China has been providing them recently. Japan’s having sent a former Prime Minister shows that the Japanese government really doesn’t want there to be another war between Asia’s two economic giants: it’s an extraordinary concession from the country whose defeat was actually being celebrated at this event. That guest-list is an entire book of information about where things now really stand in the structure of international relations. It’s a historical statement, about the present, as well as about the past. The symbolism might not be as blatantly clear as words, but it is far more meaningful, because it is the raw reality, which words can only represent (or may even misrepresent). Clearly, the Obama Administration has done everything they could to support the former fascist powers Japan and Germany against China, retrospectively, on this occasion. Japan is less willing than Germany to go along with America’s effort to reconstruct world affairs on a WWII foundation with the U.S. having turned 180 degrees to become now the leading fascist power (replacing what Germany was). Italy too is unwilling to bend entirely to embrace America’s new role as fascism’s global leader. So, too, is UK unwilling to bend entirely to it. (The U.S.-UK alliance is fraying.) North Korea is with the U.S. on this matter only because of its souring relations with China. South Korea is more interested in not offending China than it is in continuing to tow the line 100% as being a vassal-state of the now clearly fascist U.S. That’s extraordinary, but it goes along with North Korea’s weakening relationship with China. «U.S. Among Only 3 Countries at U.N. Officially Backing Nazism & Holocaust-Denial; Israel Parts Company from Them; Germany Abstains». «The U.S. Is Destroying Europe». «Jimmy Carter Is Correct that the U.S. Is No Longer a Democracy». Investigative historian Eric Zuesse is the author, most recently, of They’re Not Even Close: The Democratic vs. Republican Economic Records, 1910-2010, and ofCHRIST’S VENTRILOQUISTS: The Event that Created Christianity.